OK well I mentioned to you guys that I design book covers for publishers. Well I had a recent client ask me to put my skills to work for him. 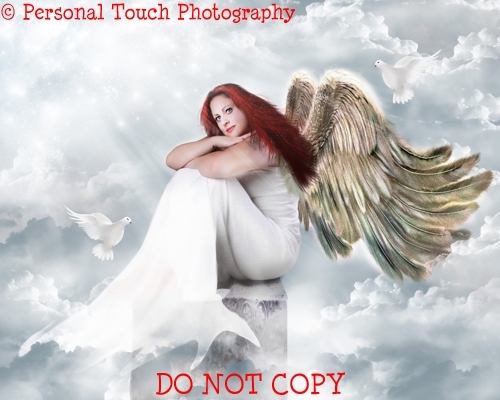 He purchased a mini session for his girlfriend and wanted me to turn her into an angel. I had a fantastic time during their shoot and I enjoyed turning the beautiful Stephanie in to the angel her boyfriend sees her as. What can I do for you?